Neuropathy is a condition that affects up to 2% of the American population, that's approximately 20 million people! Despite these numbers, the condition remains relatively unknown to many. Neuropathy is characterized by numbness and pain in the hands and feet, but it can affect almost any region of the body and can affect almost anyone, at any age. If you're looking for more information on this condition, just keep on reading for insightful neuropathy FAQ. 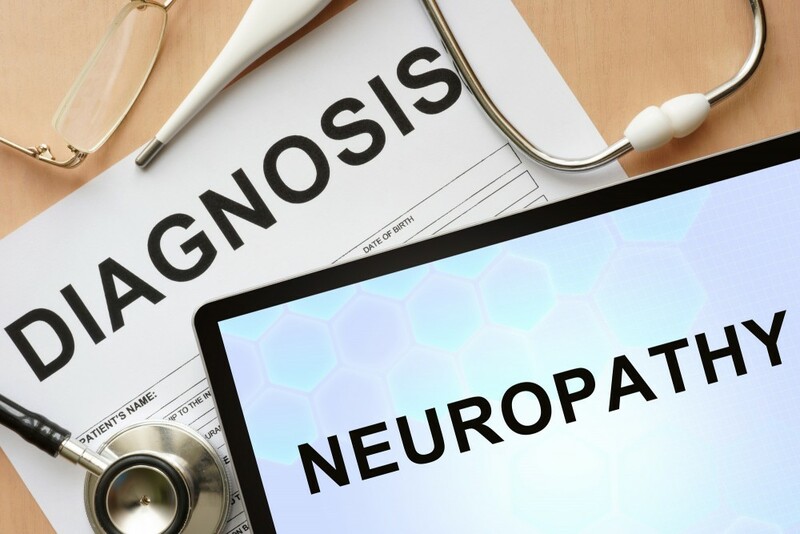 Neuropathy is a condition which is caused by damage to the peripheral nerves which can lead to chronic pain, weakness, and numbness in regions throughout the body. The body is comprised of the nervous system, which in itself, is separated into two sections: the central nervous system and peripheral nervous system. Peripheral nerves consist of nerves and ganglia which are found outside the brain and spinal cord. These are the nerves which bring sensation and movement to the peripherals of the body i.e. the hands and feet. When any of these nerves are damaged, areas such as the hands and feet are generally the first to be affected by numbness, pain, and weakness. Peripheral neuropathy is most commonly caused by diseases such as cancer and diabetes. However, there are a host of other potential causes such as family history, malnourishment, thyroid dysfunction, alcoholism, harsh medications, and more. Neuropathy can either affect single or multiple nerves at a time, greatly affecting the severity of symptoms. Knowing your symptoms is the best way to recognize the onset of neuropathy, get a clear diagnosis and begin treatment. As mentioned, this condition is most likely to cause pain, numbness, and tingling in the feet at first, then could move to the calf muscles and the hands. The severity of symptoms generally worsens at night. Why are the Feet Affected First in Neuropathy? This effect is called the length dependent effect by neurologists the world over. The simple reason why the feet are affected first in neuropathy is that they are the farthest from the brain. This basically means that signals sent from the brain to the feet take the longest to get there and require the most energy. As nerves are damaged, these signals become increasingly weaker and are generally unable to make the journey from the brain to the feet. However, there are other parts of the body which may be affected first due to the location and cause of peripheral nerve damage. The good news is that peripheral neuropathy can be treated without drugs! At Busch Chiropractic, we have been successfully helping patients suffering from the debilitating symptoms of peripheral neuropathic pain. With a combination of infrared therapy and photomodulation, Busch Chiropractic offers a non-invasive, medication-free approach to treatment. Busch Chiropractic in Fort Wayne has treated thousands of patients with neuropathy pain and symptoms, helping them to live a pain-free life. If you're looking for expert chiropractic therapy or answers to common neuropathy FAQ, contact Busch Chiropractic today to learn more about our drug-free neuropathy treatment.